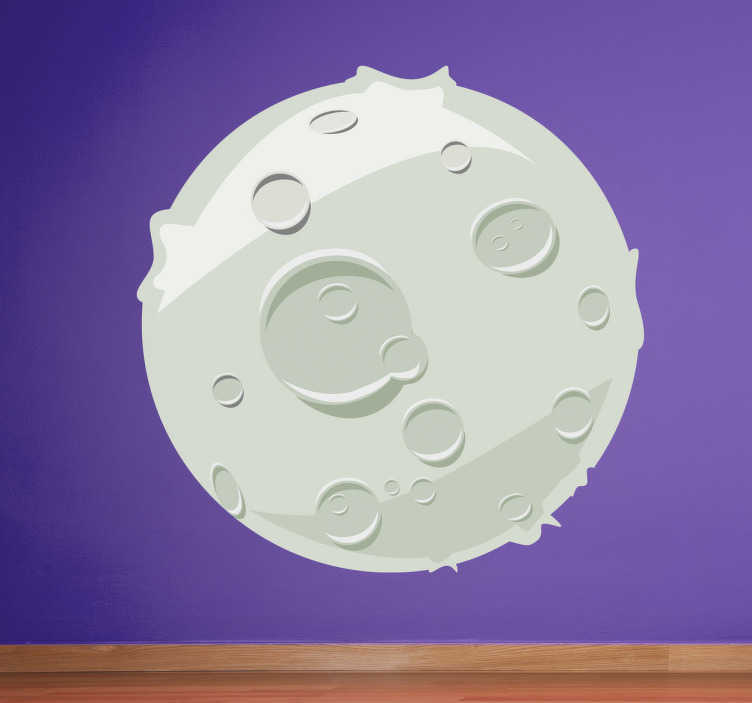 This cartoon moon wall sticker shows a simple but fun design of the moon with all its craters, from our collection of space wall decals. This kids wall sticker is perfect for decorating their bedroom or nursery to really set the mood and add that final touch to the home decor. This sticker is super easy to apply and goes a long way in improving the look and feel of a room cheaply and quickly.